I suppose that the extra effort is as much for me the giver as it is for the recipient. It makes me feel good to know that I have taken the time to make their present a bit more special for them to open. And I enjoy the smile that the little details put onto their face as they are handed the neatly wrapped gift. Sometimes I like to add a special keepsake like an ornament to the outside of the box that can be used again and again. 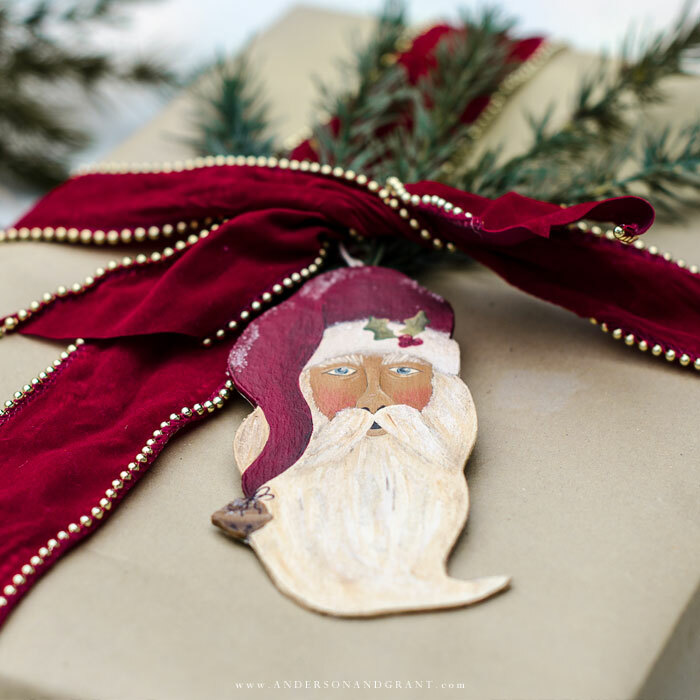 Although I don't do much painting anymore, I decided to dig out my paint and brushes to spend a little time creating some Santa ornaments as an extra little gift on the packages. 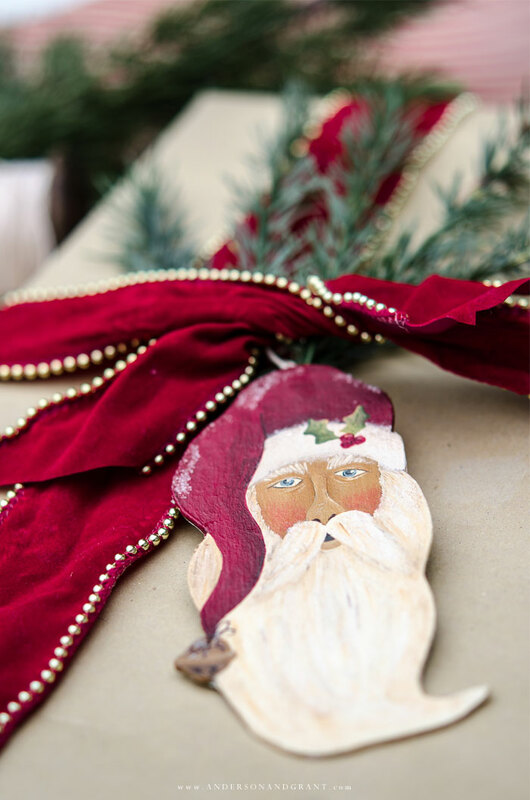 After sketching out Santa's face, each individual ornament was traced onto chipboard and then cut out and hand painted. Glass glitter was added in a few spots and a thin hemp twine hanger was attached to the back for hanging. 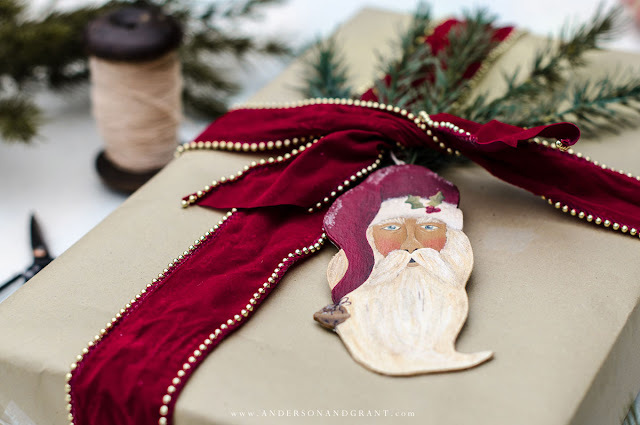 Today I'm happy to be joining in once again on the Christmas Printable Tour hosted by Kristen from Ella Claire and wanted to share these hand painted Santas with you to be able to print out for your own use. Everyone in the tour has really come up with something special for you to use in your home throughout the holiday season. They are all linked with pictures at the end of this post. 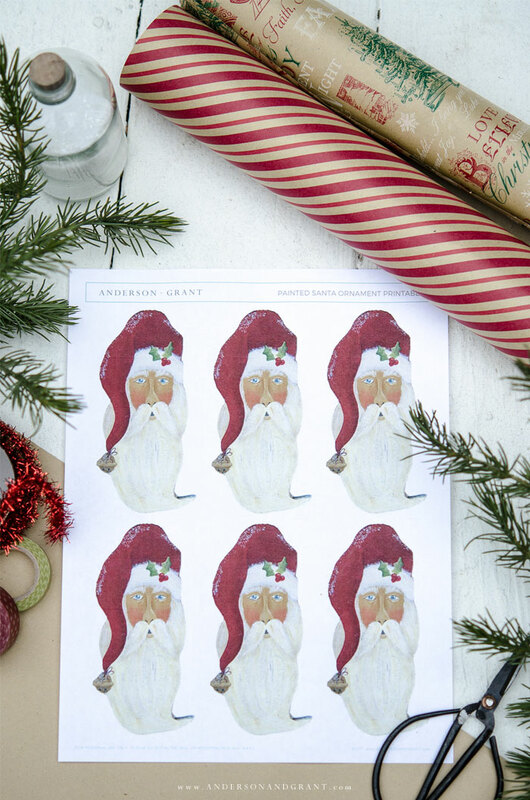 These Santas can be printed out onto white cardstock and used as gift tags or place cards. 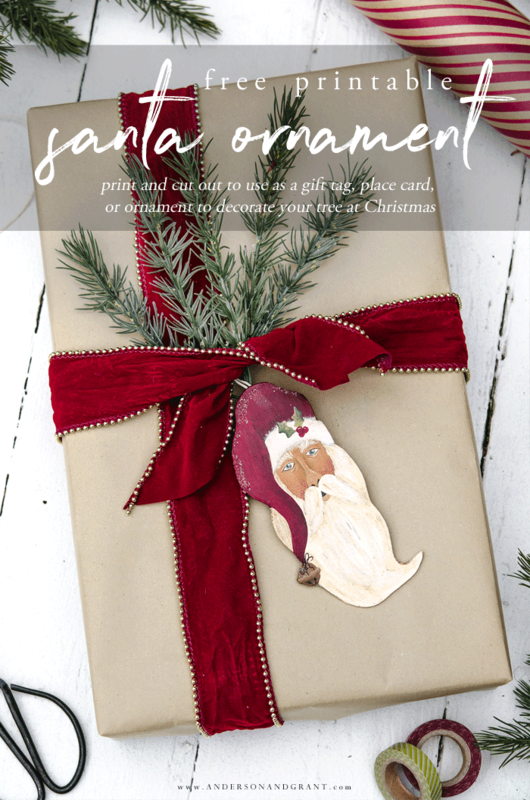 You could also glue the printed page onto the same type of chipboard that I used for my ornaments to make something more durable. Add a little of your own glitter and you've got something just about as good as the real painted version. Please remember that these printables are free for your own personal use only. They are not to be altered, sold, or redistributed in any way. Adding a final touch like these ornaments, a sprig of greenery, or a small jingle bell to your packages at Christmas makes your gift a bit more special for the person receiving it. 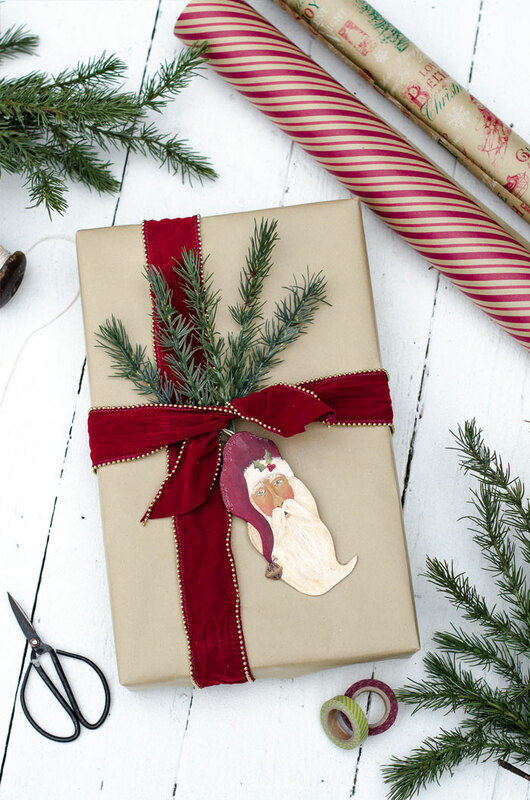 It lets them know that you spent a little extra time thinking about them and planning how to wrap their gift this year. THANK YOU SO MUCH FOR STOPPING BY TODAY. BE SURE TO VISIT SOME OF THE OTHER BLOGGERS ON THIS TOUR TO SEE THE BEAUTIFUL PRINTABLES THEY ARE SHARING!